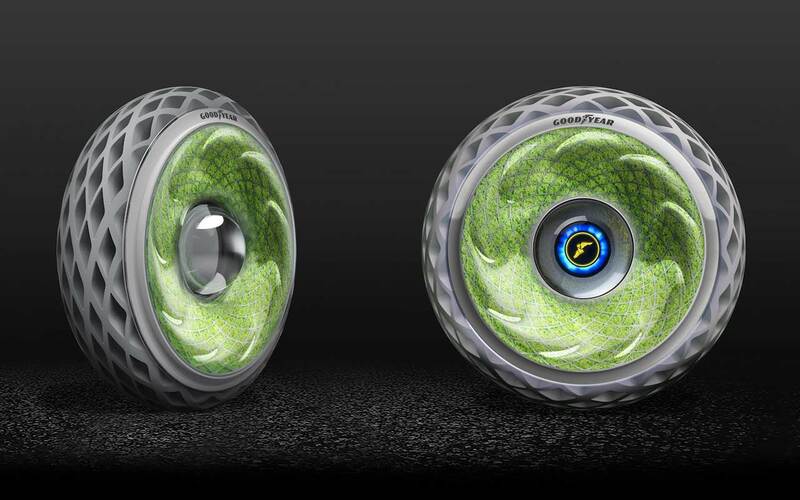 A few weeks ago we presented to you the 3D printed sustainable tyre from Michelin, now it’s the turn of Goodyear to unveil its new ecological initiative: also a 3D printed tyre incorporating living moss, imitating the principle of photosynthesis. Here we review an innovation that combines 3D printing, ecology and artificial intelligence! 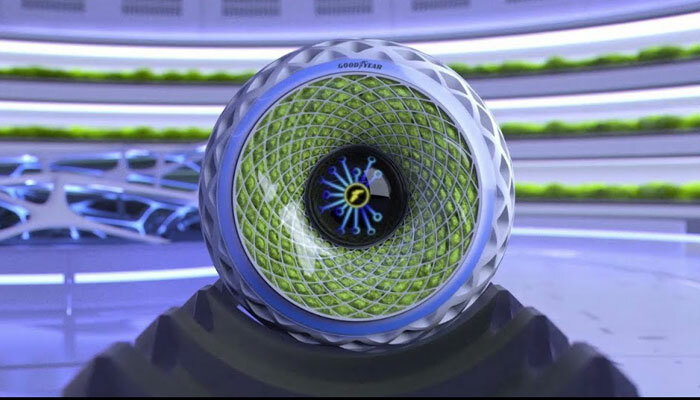 Oxygene could well be the tyre of the future. And with good reason, as it combines different technologies, including additive manufacturing. The tread is 3D printed using a powder obtained by recycling… old tyres. An interesting circular economy approach enabling Goodyear to produce a lighter product with improved shock absorbency. Just like the Michelin tyre, Oxygene is not air-filled, which should provide an extended life cycle and new maintenance procedures. Its open structure also offers better road-holding, improving passenger safety. But the US manufacturer doesn’t stop there. 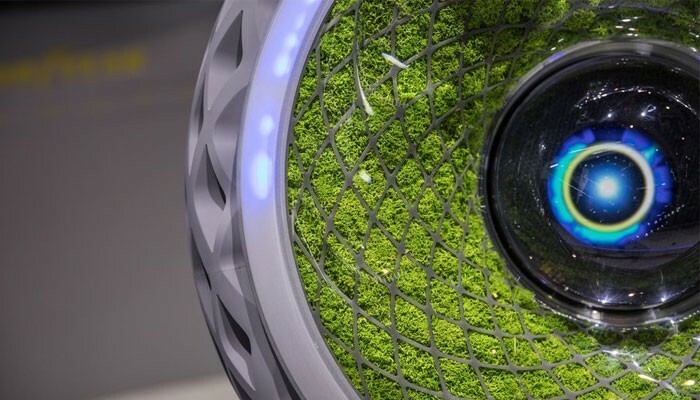 It has incorporated living moss within its new tyre to improve air quality: the moss absorbs water and moisture and therefore carbon dioxide from its environment, but above all releases oxygen at the same time, enabling the process of photosynthesis. Oxygene is therefore set to provide additional purification of the air and a healthier and more sustainable environment. Good news for all you city-dwellers given that 80% of you are exposed to levels of air quality judged to be hazardous according to a study conducted by the World Health Organisation. The Goodyear tyre is fitted with active sensors enabling it to communicate with other tyres and also has a customisable light strip. Through its artificial intelligence, Oxygene can power two devices thanks to the energy supplied by the process of photosynthesis. Lastly, the manufacturer confirms that in a city like Paris with over 2.5 million vehicles, the Oxygene tyre could generate 3,000 tonnes of oxygen and absorb 4,000 tonnes of carbon dioxide each year. Promising results for the planet, it just remains to be seen when this innovation will appear in all of the world’s big cities. If you also wish to create an innovative product using 3D printing, don’t hesitate to contact our marketing department, which will be delighted to support your project by helping you select the right material for your needs!